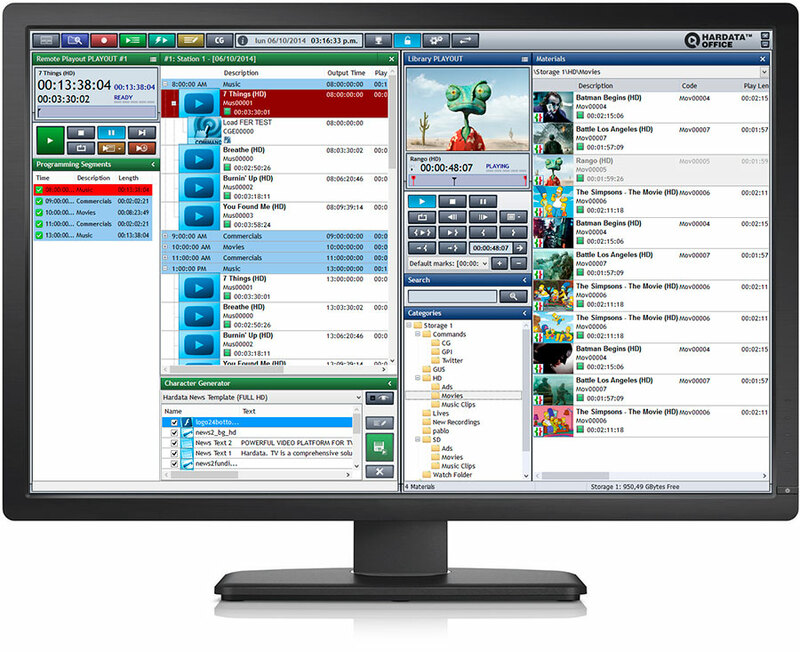 HARDATA OFFICE is a software package for managing content your television station. It can be installed on any standard PC, or it can be ordered integrated and pre-installed on a Dell PC. Handle your materials and manage the contents of your TV station in an easy and friendly way through the Library window of HARDATA OFFICE. Design your own workflow managing in a simple way all servers in the HARDATA video ecosystem. Manage your content. 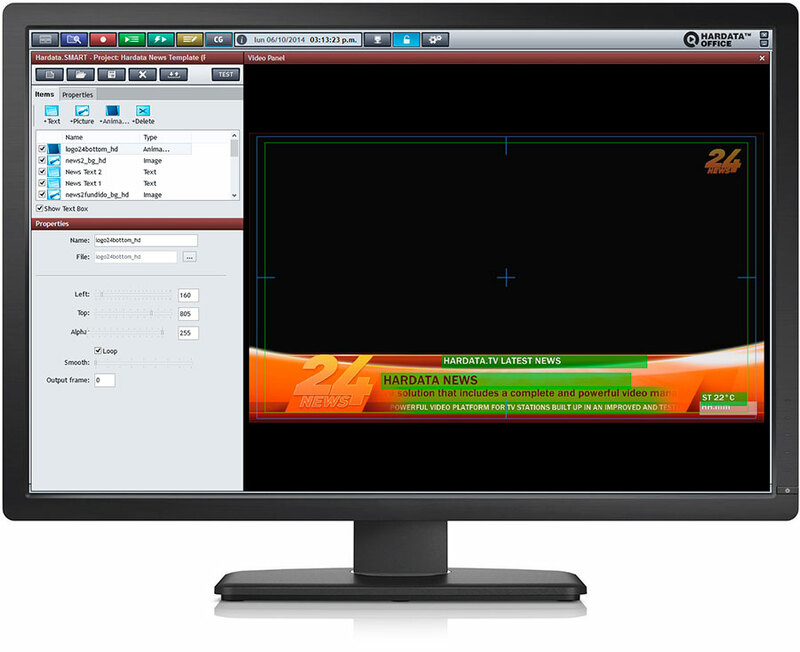 Display, catalog, search and retrieval of materials for editing or playout. 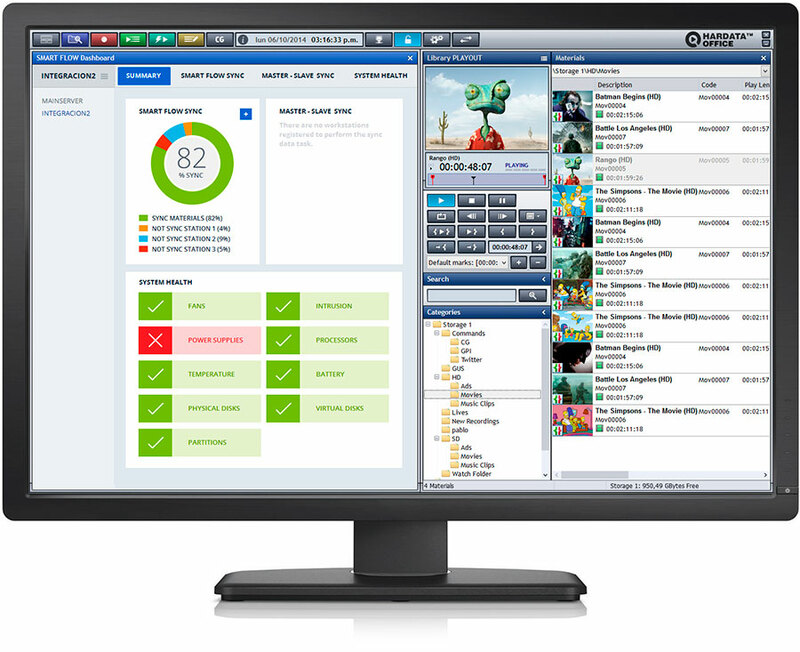 Program a playlist for each station and assign a playout channel of a HARDATA SMART or SMART+ server for broadcast. HARDATA OFFICE allows you to program your stations in advance and store them to be automatically loaded into the corresponding date. Generate your emission reports and alerts from HARDATA OFFICE and manage your stations safely and reliably. HARDATA OFFICE also allows you to create and manage CG and graphics projects and assign them to certain stations. User interface simple and intuitive, CG and branding with sockets, animated logos, vertical and horizontal scroll, flash animation, time and temperature. From any HARDATA OFFICE workstation within your HARDATA network you can manage one or more channels of the same or different servers. HARDATA OFFICE allows you to easily import video files to any of the servers in your HARDATA network, catalog your metadata and quick search to streamline the programming of your playout. Control the health of your equipments, the clips synchronism between the emission server and the SMART FLOW, the transference and transcode of materials between the servers of the ecosystem, all from a centralized tool. Hardata is a premier developer of workflow solutions that streamline audio, video and text asset management for TV and Radio stations, and entertainment enterprises.